Fashion girl Alyssa Coscarelli is no stranger to travel. One day, she’s nesting in her cozy East Village apartment, and the next she’s in Iceland. Or Costa Rica. Or, you know, France. 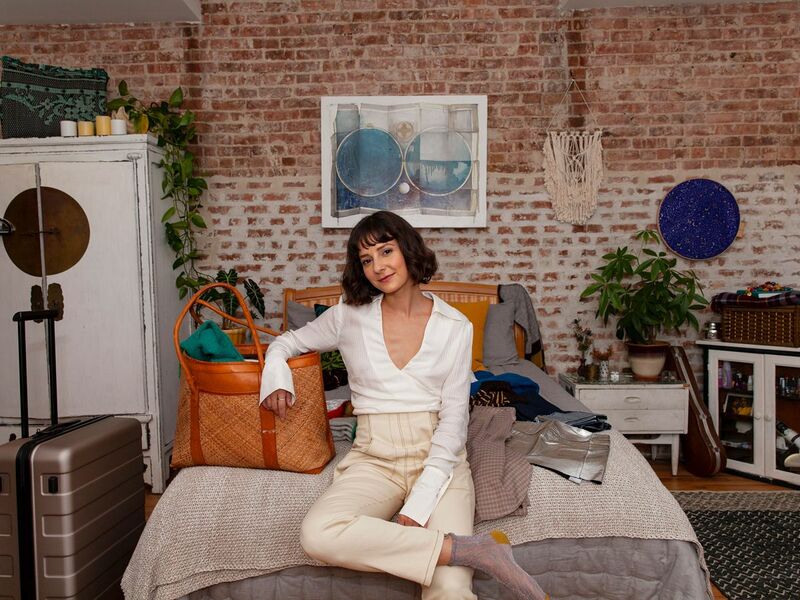 Basically, the Instagram star and beloved Refinery29 alum is constantly traveling – and her jet-setting itinerary has taught her a thing or two about packing. With that in mind, we recently caught up with her before the holidays to see what she was bringing to Florida (her family’s home base) this Thanksgiving. Watch above — in VR — as Coscarelli walks us through her travel must-haves. From a cozy scarf-blanket to the comfiest loungewear, the girl’s basically got hygge down pat. And if you just want some fashion inspiration, watch to find out Coscarelli’s three basic essentials that always look good together. Chances are, you already have one of those items in your closet. Is Polygamy a Cultural Cop-Out? Leonardo Dicaprio: “Carelessly Masculine” Or Common Slob?